Fairy-stories are not just for children, as anyone who has read Tolkien will know. In his essay On Fairy-Stories Tolkien discusses the nature of fairy-tales and fantasy and rescues the genre from those who would relegate it to juvenilia. This is aptly and elegantly illustrated in the haunting short story, Leaf by Niggle , which recounts the story of the artist, Niggle, who has 'a long journey' to make and is seen as an allegory of Tolkien 's life. Written in the same period when The Lord of the Rings was beginning to take shape, these two works show Tolkien 's mastery and understanding of the the art of sub-creation, the power to give fantasy 'the inner consistency of reality'. Originally published by George Allen and Unwin in 1964. It was published on the same day as the Unwin Books paperback edition. Later that year reprinted, but this reprint is not recorded in later impressions. A third impression was again called second impression in 1966 and the true 2nd impression issued in 1964 had been omitted. There were in total 7 more impressions in this format, namely a 3th impression in 1968, a 4th impression in 1970, a 5th impression in 1971, a 6th impression in 1972, a 7th impression in 1972, an 8th impression in 1973 and a 9th impression in 1974. 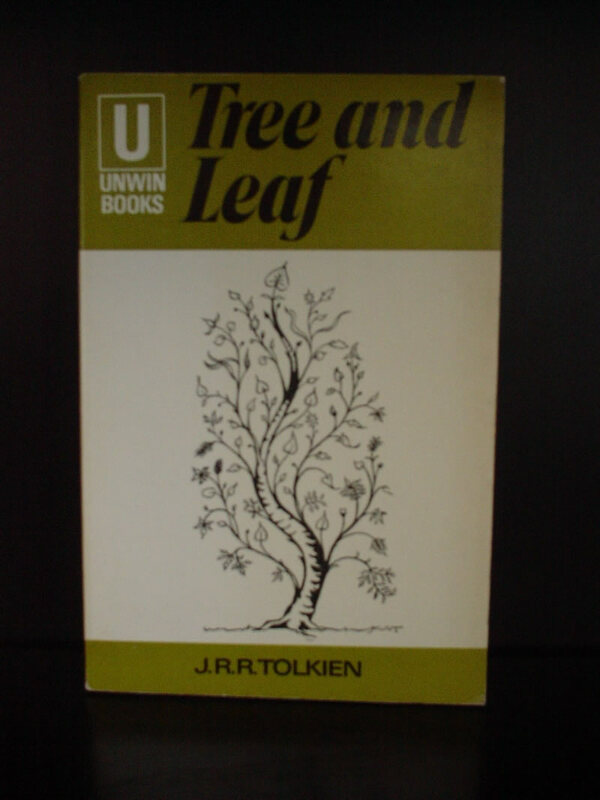 In 1975 the first edition ended with a reset 10th impression in 1975 changing the appearance of the book. This state was reprinted twice. The Unwin Books paperback edition also saw some reprints, a 2nd impression in 1966, a 3th impression in1968 and a 4th impression in 1970. After change of cover there followed a 5th impression in 1971, a 6th impression in 1972, a 7th impression in 1972, an 8th impression in 1973, a 9th impression in 1974 and a 10th impression in 1975. The 2nd Edition (including the poem Mythopoeia) was printed in 1988 as a hardback by Unwin Hyman and as a paperback by Unwin Paperbacks. Another similar paperback similar to this one was release by Grafton Paperbacks in 1992. Being reprinted at least one time by them. Then it took until 2001 for another paperback edition, this time by Haper Collins paperbacks. They opted to include the poem "Mythopeoia" and also for the first time "The Homecoming of Beorhtnoth". "...that story was the only thing I have ever done which cost me absolutely no pains at all. Usually I compose only with great difficulty and endless rewriting. I woke up one day (more the 2 years ago) with that odd thing virtually complete in my head. It took only a few hours to get down, and then copy out."